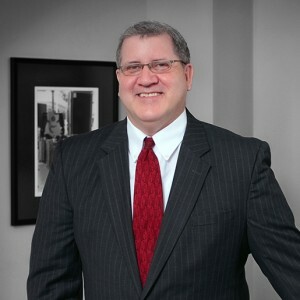 Keith J. Landry is a partner in the Lafayette office of Allen & Gooch. His primary areas of practice are insurance defense, insurance coverage, workers’ compensation, auto and subrogation/intervention matters. Keith has represented major insurance companies, major corporations, restaurant chains and public entities. The contested matters include premises liability, auto accidents, workers’ compensation, offshore and land rig accidents, deleterious food conditions and police misconduct. Keith is known for his tenacity and creativity in overcoming challenges. His experience lead to the creation and implementation of round robin mediations, bringing together the client, numerous attorneys, plaintiffs and, on occasion, judges to reach settlements within a very short time period. The process has allowed plaintiffs’ counsel and client to meet without interruption and get to the bottom line of the case. The success rate has been as high as 90%, proving to be very cost effective for all parties. Keith has developed a large caseload with Second Medical Opinions (SMO) and Independent Medical Examinations (IME). He works with vendors and medical providers to thoroughly gather information in order to prosecute the claim, whether with the treating physician, plaintiff’s counsel or Court. Keith also vets medical providers and provides adept knowledge to achieve valuable SMO/IME reports necessary to properly adjust or prosecute the claim. Keith’s extensive knowledge is shared regularly at speaking engagements for private trainings and continuing education programs, as well as various industry organization and association events.